Are you looking to take the leap from ploughing through warm, chlorinated water to diving headlong into cold open rivers, seas and lakes? Well, first thing you need to do is take a breath and settle any fears you might have. Then read through these first three easy steps - we hope they'll ease your anxieties and help you into your first wild swimming experience. Don't worry: the riverbed isn't going to be crowded with beasties and the cold won't turn you into an ice-block - in fact, you'll probably learn to love it. One of the greatest things about wild swimming is that every so often you happen upon an untouched, pristine body of water that you'll have entirely to yourself. 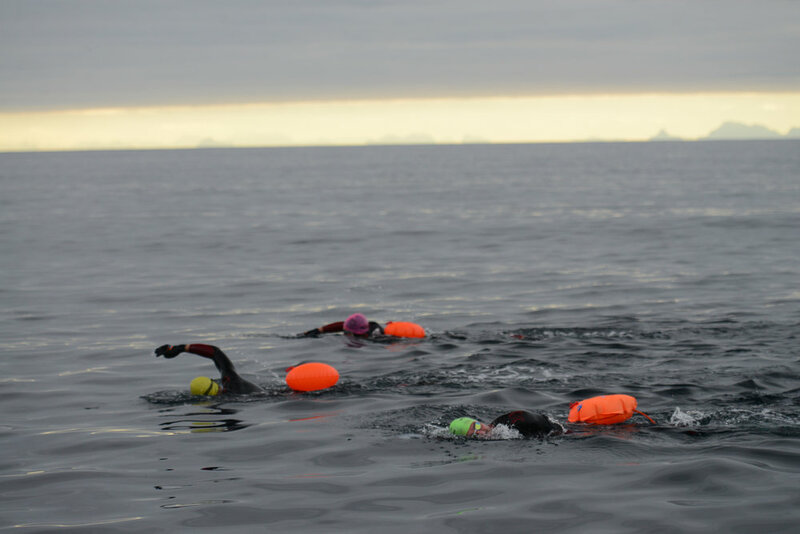 When it comes to searching for somewhere to attempt your first open water swim, why not use the awesome Wild Swim Map provided by the Outdoor Swimming Society? Here you'll find insider knowledge and experienced insight into the areas of your choosing. Once you start visiting a few different spots and getting some wild swims under your belt, it might be a good idea to start keeping a journal, recording your swims and noting down what made each place so special. This will ensure that the next time you want to go and float in the hushed company of nature or hurl yourself down a cascade, you'll know exactly where to go. You don't have to bound down to the water and leap out like an inelegant seal the first time you meet wild water. Just remember to be mindful, take your time and keep an eye out for any potential dangers. Once you're in the water, take some time to steady and slow your breathing. Allow the cold to envelop you. Be calm. Enjoy the unusual sensation and allow it to flush your mind of all those niggling land anxieties. Wild swimming is a very safe and immersive experience - it can also be transformative, so you should bring to it the same reverence you would bring to meditation. The Wild Swimming Brothers comprise of Robbie, Callum and Jack Hudson. The three of them reignited their love of the outdoors when the 9-5 grind and an absence of nature had begun to affect their mental well-being. They now go on swimming adventures to raise money for charity and inspire others to reconnect with nature and share their love of wild swimming.